ESP Auto Inc, Services: Transmission Service | ESP Auto Inc.
Second only to the vehicle’s computer, the transmission system is the most complex and interesting systems in your vehicle. It is comprised of mechanical-, hydraulic-, electrical-, and computer systems that work together to make the engine drive the wheels every day, in all conditions. And many aspects of modern driving take their toll on the transmission, causing it to overheat and creating problems down the line. Our New England climate is hard on transmissions – we drive in winter snow and in extreme summer heat. Sometimes we have to drive at speed or get stuck in stop-and-go traffic. And for those of us who have to tow a heavy trailer, this can also cause problems. If you experience any of these issues, or if you notice that your transmission fluid levels are low, you should bring your vehicle in for a service as soon as possible. 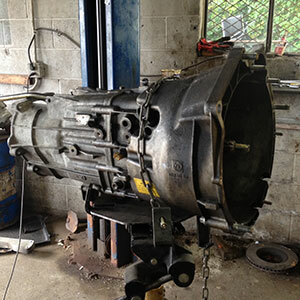 Contact us today if you would like to schedule an appointment for an transmission service!